Please show the blockchain game I made some love and help a fellow pubber out! The game looks pretty cool. More my style than Cryptokitties. I hit that button you highlighted in Red in your post, do we need to do anything else? Thanks a lot Seikin! No that’s all that’s needed for now I will keep the pub posted as this project progresses. Here’s a link to the trailer we made for the competition btw in case you missed it! Voted for you guys, the game looks great by the way. Thanks friend, still only at prototype stage so far from the final product but I have some other interesting ideas for how we could use blockchain that I can’t wait to unveil. This competition has been the perfect boost to get this project on the right track! Now just gotta keep grinding. very cool! keep going! this is neat. Thank you so much everyone! We are actually in the lead now Good news is that everyone can vote once per day and from different devices. Keep pumping it if you can! Response so far has been great. So what blockchain gets to keep this data forever? EOS?? This is a project for the NEO blockchain game competition, so that’s what we’re working on currently. However I am very interested in putting the same game on multiple blockchains and finding ways to do cross-chain transactions in future. 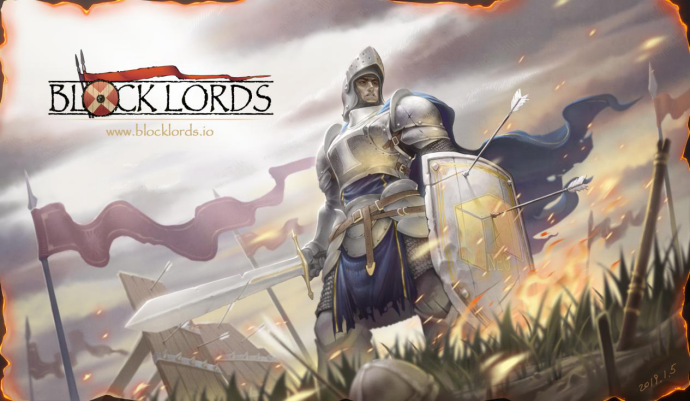 Hey guys, it’s been a while now but we are finally going to have our BLOCKLORDS closed beta. The game still has some kinks but if you are interested you can at least give it a try. Will be emailing out the link to everyone on our list later this week, so please sign up on our website if you want to try it out! so glad you’ve come back! so cool! Stay the course. The long road is the one to survival. Thank you for the kind words! You have always been a big source of inspiration since I started researching and investing in blockchain in summer 2017. Agree that the long road is key, and with two award grants now (one from NEO and one from TRON), I am very excited about pushing our game out. The space is still small as it’s early but I’m excited to be building stuff now and improving it as time goes by. I looked at the video but haven’t made the wallet and gotten on the game, but it looks really well done. Blockchain could really use some games that catch on. Kudos for making it. No worries actually the closed beta won’t be up for another couple of days. This is still testing phase so it’s just to give people an idea of how the game will play. Still quite a bit of work to do but I’m really encouraged by the feedback we’ve received so far! After that, we’ll focus on adding more gameplay features and porting to other chains if the user data is solid.